This morning I was due to do the warm up at my daughter’s school sport day but sadly the rain has stopped the event. The children were all very sad that they had to change back to their school uniform and head off for a full day of school rather than a fun morning of sporting fun with a picnic lunch and an early hometime. Have you attended your child’s sports day recently ? Please tell me about it, was it fun, what did they do and how proud were you to see your child participate. 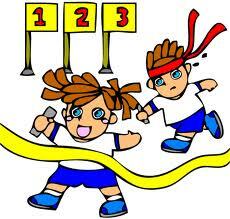 Fingers crossed for a dry day for the rescheduled sports day next week. I’m sat at my desk thinking back over the last two weeks and feeling that lovely warm feeling inside me that a fantastic job has been done by the team at Fitkid in Poole. 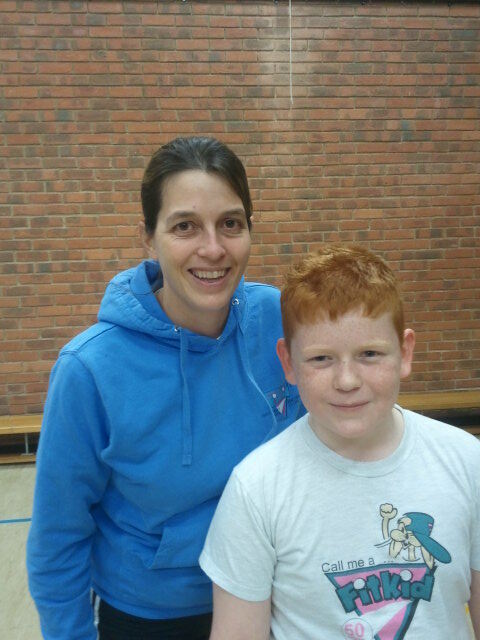 The Easter holidays proved to be very exciting in Poole with many FitKid workshops being delivered to keep the children active and healthy over the school holidays. Children participated in lots of different fun sporting activities including the NEW Tandeem spacehoppers which were very popular. They also enjoyed Easter craft and the results were fantastic. Due to FitKid’s partnership with Bumpeez, all children attending received a free packet of Bumpeez and it certainly was Bumpeez mayhem as they were all playing games with them and swapping to add to their collections. I even managed to get out of the office myself and run a couple of the workshops, you can not put a value on seeing the kids big smiles and hearing them all happily giggling. What an excting start to 2012, FitKid has teamed up with popular collectable toy, Bumpeez during the Easter holidays to encourage more children to get active whilst having fun. FitKid will be holding Easter Workshops where children will receive a free pack of Bumpeez and be taught a range of exciting and interactive games to play. The latest Health Survey for England (HSE) data has predicted that 25% of children will be obese by 2050. To combat this worrying statistic, FitKid aim’s to provide children with fun fitness activities to help improve their health and encourage them to make healthy lifestyle choices. 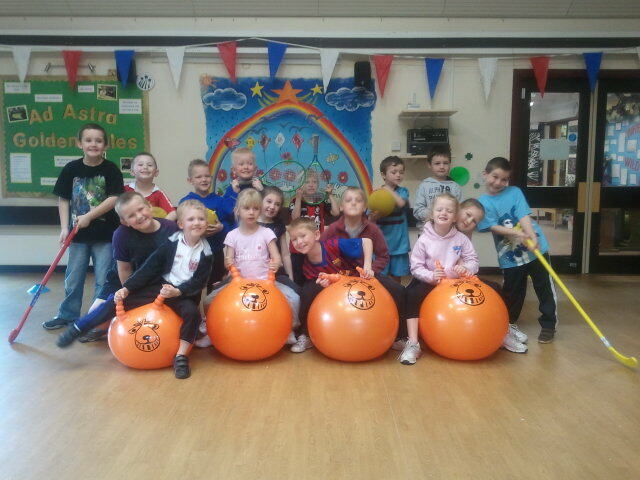 Using fun play equipment including balls, bean bags, hoops, spacehoppers and a parachute, FitKid engages the children in multi skilled sessions that assist with developing the key skills for sport in addition to providing children with health benefits. Priced at £1.99 a pack, Bumpeez are a fantastic pocket money purchase for parents and kids. There are over 100 characters to collect including special limited edition gold, silver and swirly Bumpeez. Each Bumpee consists of two parts – a circular chip featuring a cool character, which is encased in a highly tactile, removable silicon ring that comes in a variety of different shapes and colours. When the chip is in the ring the Bumpee can be bounced against walls and used to play more than 25 games and perform tricks with the different shaped rings requiring a varying degree of skill to bounce. Rainbows, Brownies, Guides and Rangers celebrate “World Thinking Day” in Poole, Dorset. I had such a lovely day on Saturday running FitKid sessions for over 150 Rainbows and Brownies and my colleague Maggie ran FitKid for the Guides and Rangers. We played many fun games and lots of smiles and giggles were shared during the sessions along with lots of high pitch screaming from the younger girls as they got in to the full flow of the games. It was lovely to see so many smiling and happy faces 🙂 A pleasure to teach these lovely girls and young ladies. Im really excited to announce FitKid’s new partnership with Gym Miles to launch a NEW Children’s physical activity participation online programme which will assist schools and nurseries to track the participation levels of children in and out of the curriculum. It will also reward families using the scheme with Cash Rewards. Schools are able to sign up for the scheme with FitKid and will be able to upload the participation of the Children’s in PE sessions at school. In addition the child’s carers will be able to upload the child’s out of school activities which will reward the child with points. The child’s carers can redeem points online with over 200 retailers and the parent and school receive cash rewards in return for the points redeemed. It’s so very excited to be joining forces with Gym Miles to launch the New FitKid Cash rewards participation scheme. For many years now schools have been telling FitKid that lots of out of school participation data goes unrecorded but our new scheme will assist to capture this data and also reward parents with cash rewards for using the scheme. “We are delighted to be partnering with FitKid to launch this programme which I believe is a welcome innovation in the drive to encourage and measure physical activity in the young to” commented Niall Jordan from Gym Miles. The scheme will enable schools and nurseries to also look at statistics on participation in and out of school for each child, download resources including games, certificates, work sheets etc. It is a very simple scheme to use and FitKid believe it is a break through in the tracking of data for all.